Ships today if you order in the next 10 hours 4 minutes. Your joint health and function may be affected by a number of factors, including the aging process. Healthy joints and connective tissues play an important role in your quality of life. 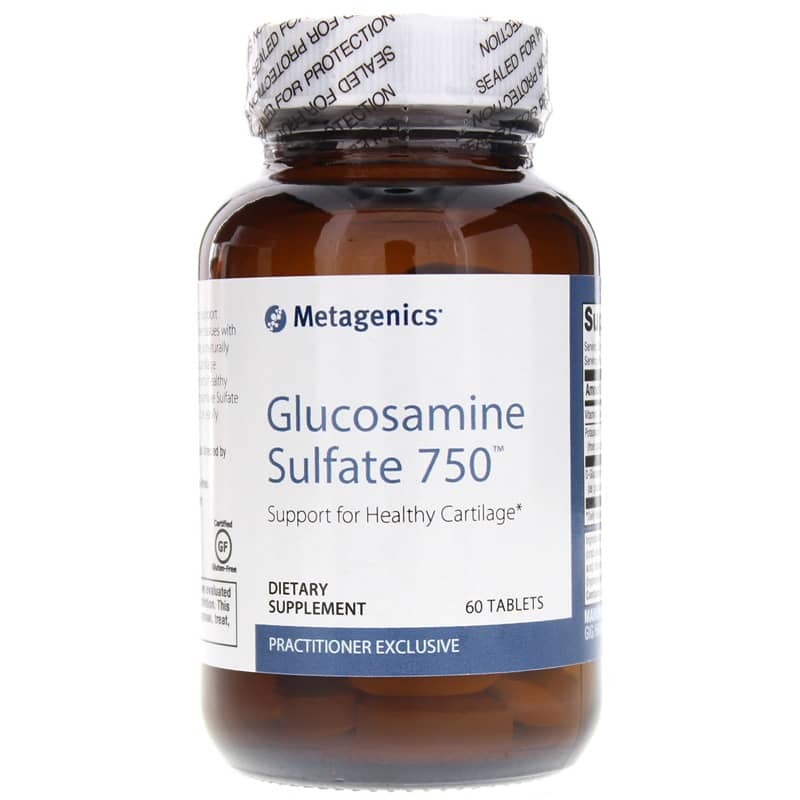 Glucosamine Sulfate 750 from Metagenics delivers D-glucosamine sulfate to provide optimal support for healthy joints and connective tissues. 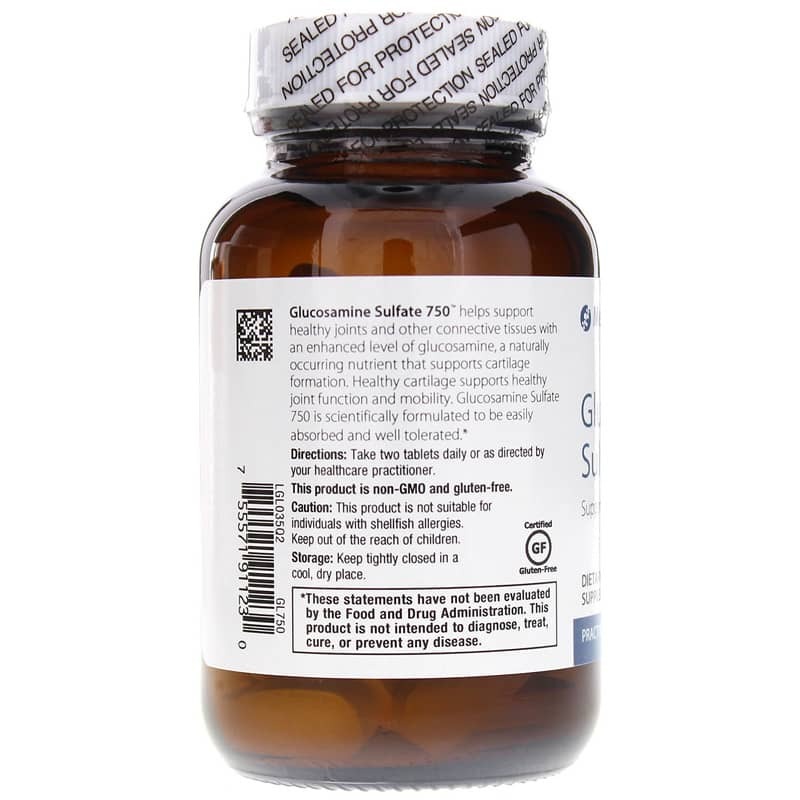 Metagenics Glucosamine Sulfate 750 contains no gluten or GMOs. Just two tablets every day may help you achieve healthier joints and improved joint function. Give it a try today and take another step toward optimal overall health and wellness. 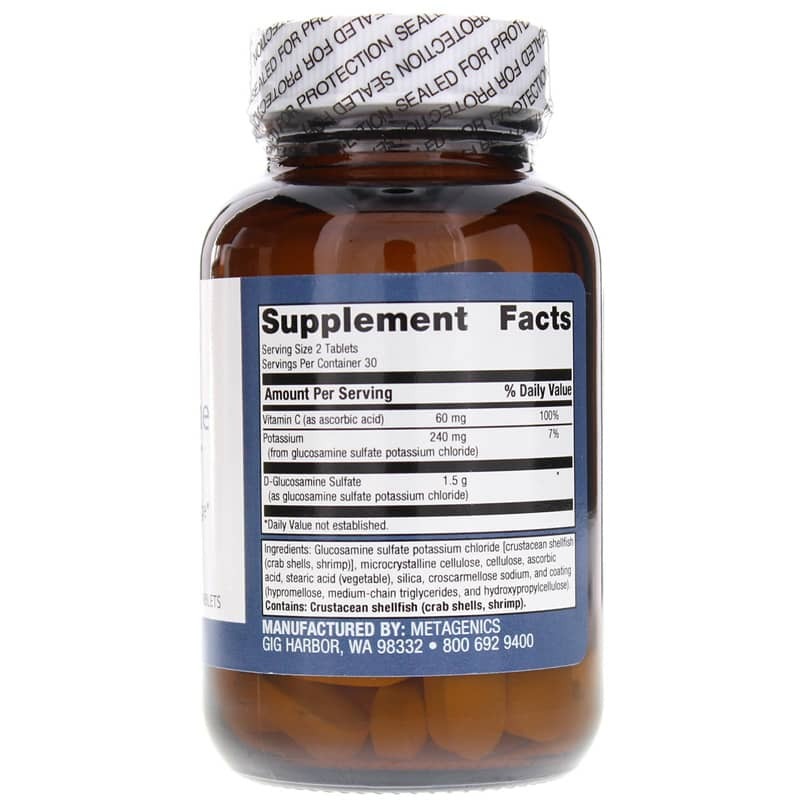 Ingredients: Glucosamine sulfate potassium chloride [crustacean shellfish (crab shells, shrimp)], microcrystalline cellulose, cellulose, ascorbic acid, stearic acid (vegetable), silica, croscarmellose sodium, coating (hypromellose, medium chain triglycerides, and hydroxypropylcellulose). Contains: crustacean shellfish (crab shells, shrimp). Contains NO: gluten or GMOs. Adults: Take two tablets daily or as directed by your healthcare practitioner. This product is not suitable for individuals with shellfish allergies. If you are pregnant or nursing, please consult your healthcare professional before using this product. Keep out of the reach of children.